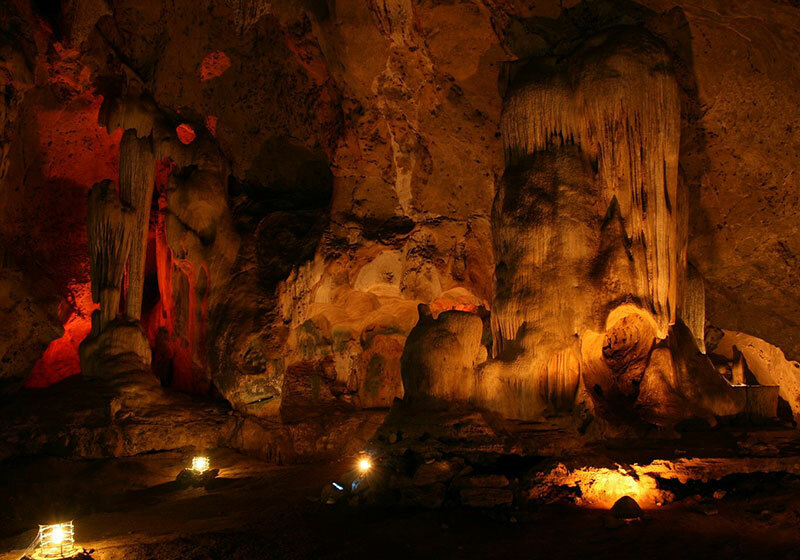 The Tham Chomphon Cave is 30km west of Ratchaburi city in the vicinity of Chom Bueng. It was originally called Tham Mutchalin, but was given a new name when King Rama IV and Queen Si Phatcharin made a royal visit in 1895, and were fond of its beauty, thus giving it a new name according to the shape of the stalactites which look like the epaulette of a field marshal. The cave also houses a medium-sized reclining Buddha. Short Description: This cave was originally called Tham Mutchalin. In 1895, King Rama IV and Queen Si Phatcharin made a royal visit and were fond of its beauty, thus giving it a new name according to the shape of the stalactites which look like the epaulette of a field marshal. The cave also houses a medium-sized reclining Buddha. A nearby arboretum provides shady areas suitable for relaxation.